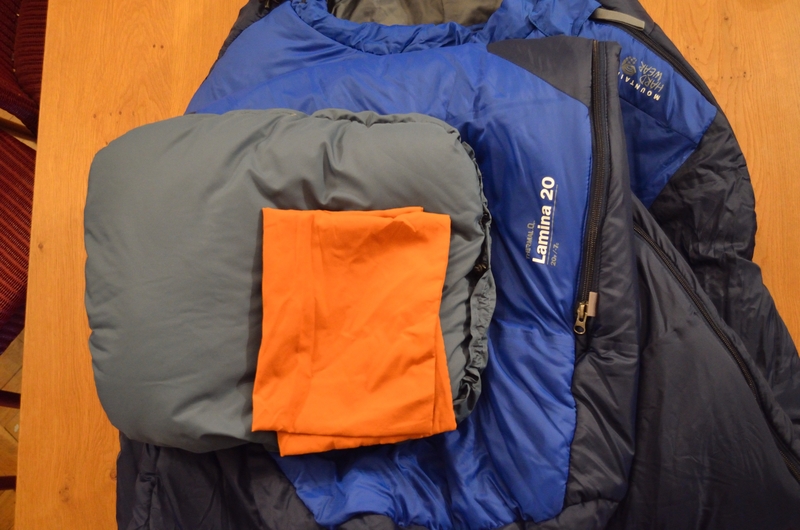 I purchased a Mountain Hardwear Lamina 20 sleeping bag this summer. I’m really pleased with it so far, I’ve used a Mountain Hardwear Lamina sleeping bag in the past and found it a good one, so when it came to purchasing a new one I looked around a bit at some other manufacturers and then decided on the Lamina 20, due to price, temperature rating and weight. I found it a good size and very comfortable. The last time I used it I stayed in a heated cabin, so it was definitely warm enough – I had to sleep with the zipper undone otherwise it would have been too hot! The included stuff sack really compresses the bag down well. I carried it inside my Deuter Guide Lite 32 on a weekend trip, and still had room for the other equipment I needed. Though the stuff sack seems very durable so it would have been no problem carrying it on the outside of my pack. The included mesh storage bag is good also for when you’re not using the sleeping bag though I usually keep mine folded over a coat-hanger in a closet if I’m not using it for a while. 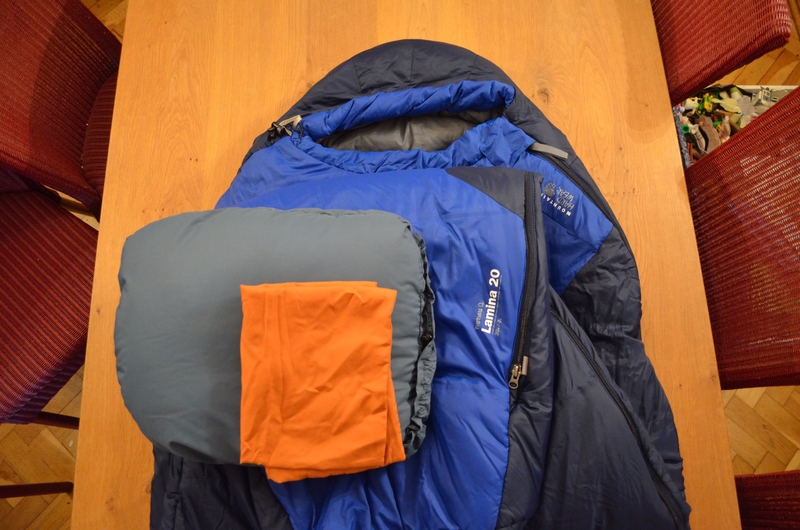 I’ve also been using a Thermarest Down Pillow and UltraLite Pillow Case. They’re both really great, the pillow is very comfortable, it packs up very small and hardly weighs anything, I’d recommend it for travelling as well as backpacking. I found it handy to have the UltraLite Pillow Case too as it’s much easier to just wash the pillowcase instead of washing a down pillow. I bought the Down Pillow first but thinking about it practically I was also carrying a fleece and a down jacket which I could have stuffed into the pillow case. It would have made my pack a little lighter, just taking the pillow case, but I wasn’t carrying it for too long. So if you’ve got the space for it I’d recommend getting both, if you were heading on a longer trip the pillowcase is really ideal if you’ve got something like a fleece you could stuff in it, whilst the Down Pillow is really great to have for short trips or car camping. Never thought of putting a sleeping bag on a hanger for storage, good idea!